January 29th Is National plan for vacation Day! We all talk about how we'd love to get away, yet over half of Americans don't take the time off they've earned. The research conducted by Project:TimeOff shows that we leave 705M unused vacation days on the table annually, 212M of which were forfeited! The Project:Time Off Coalition is comprised of organizations committed to changing the thinking and behavior of Americans about vacation time. As part of a national movement, coalition members understand that putting our wasted days to use will provide a $236 billion boost to the economy, and, more importantly, improve the health, happiness, and careers of overworked Americans. Whether it's the feeling that you'll return to a greater workload or that your employer will question your dedication, there's many excuses for why we delay taking our much-deserved time off. When interviewing managers, Project: TimeOff discovered that the majority (91%) of them WANT you to take your vacation days but just wished you had told them about it at the beginning of the year. Neurological disorders such as dementia and Alzheimer's are becoming increasingly prevalent. Alzheimers is the 6th leading cause of death and the only one in the top 10 without a cure. 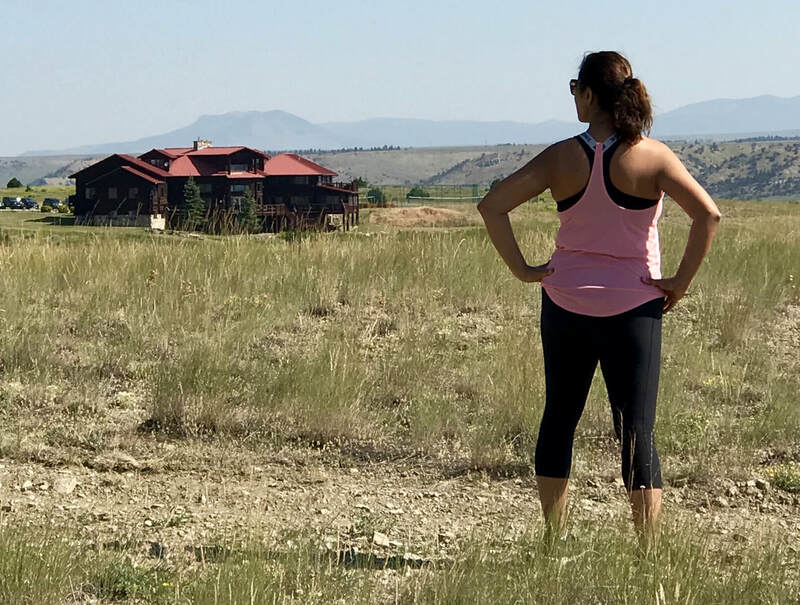 So when LifeWorks wellness resort in Montana approached me to experience their program focused on brain health, I was more than a little intrigued. Headed by Dr. Rob Velin, a neuropsychologist and former research professor at University of California San Diego, and based strictly on science and research-driven programs, LifeWorks’ mission is to help their VIPs lead healthier lives, specifically by increasing and protecting their brain health. 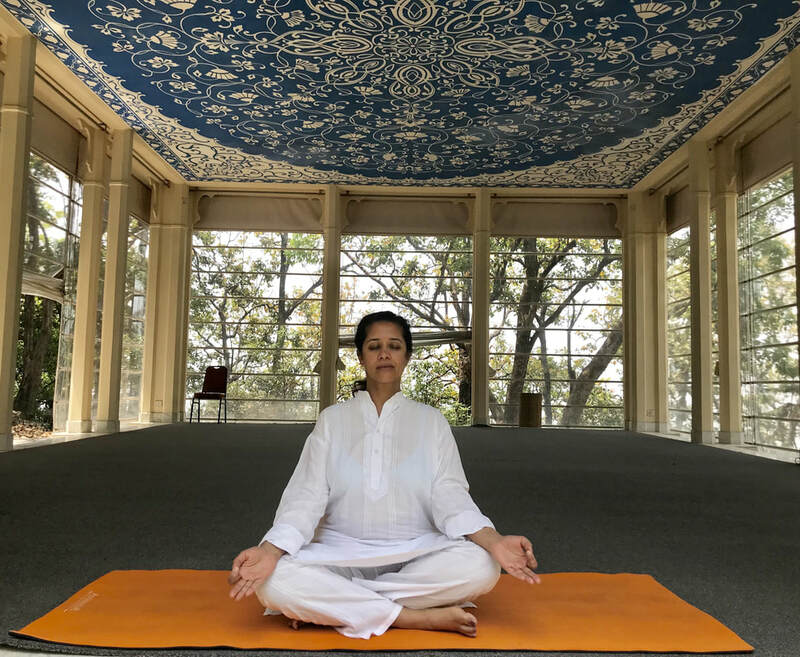 The program focuses on 7 pillars: Advising (life coaching), Adventure (exploration and activities leveraging the natural surroundings), Conditioning (fitness), Movement (yoga, mindfulness, meditation), Nutrition, Neurofeedback and Virtual Reality/Mixed Reality (to increase neuroplasticity and manage stress). 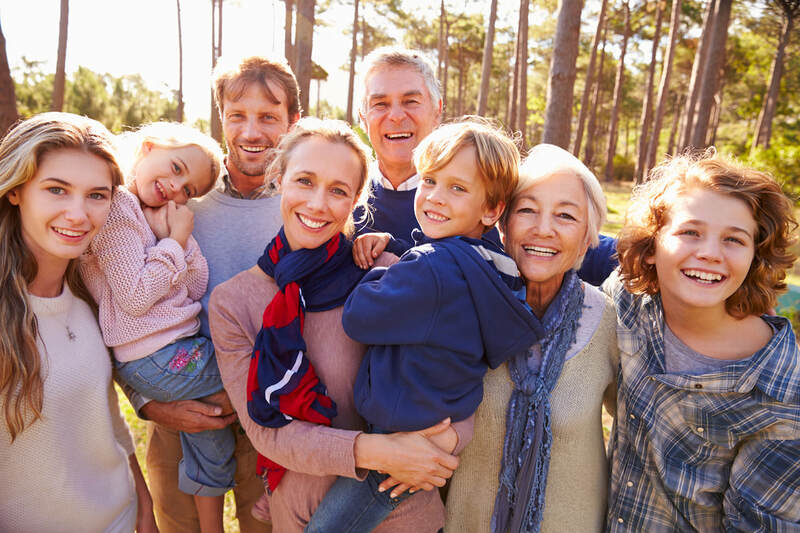 This holistic approach to wellness provides the tools for the intervention and prevention of neurological diseases such as dementia and Alzheimer’s. ​It’s that time of year…Virtuoso Travel week is right around the corner in August! It’s the most anticipated gathering of luxury travel providers in the world and for the first time in the history of the event, it is sold out. It’s also my annual opportunity to connect with the upper management teams for the top hotels, cruise lines and tour operators globally and act as a buyer on my clients’ behalf. This week-long event in Las Vegas is the epitome of speed dating between luxury travel advisors and suppliers. We “switch partners” every 4 minutes for 4 full days, learning about the latest updates from tourism boards, hotels, resorts, cruise lines and tour operators. We then have the opportunity to set up appointments specifically with those we’d like some extra time. As someone who’s keenly interested in ensuring I continue to partner with the best and most innovative companies, I want to reach out to you to find out what’s on your bucket list for 2019. Have you been dreaming about a magical rooftop dinner in Paris overlooking the Eiffel Tower? 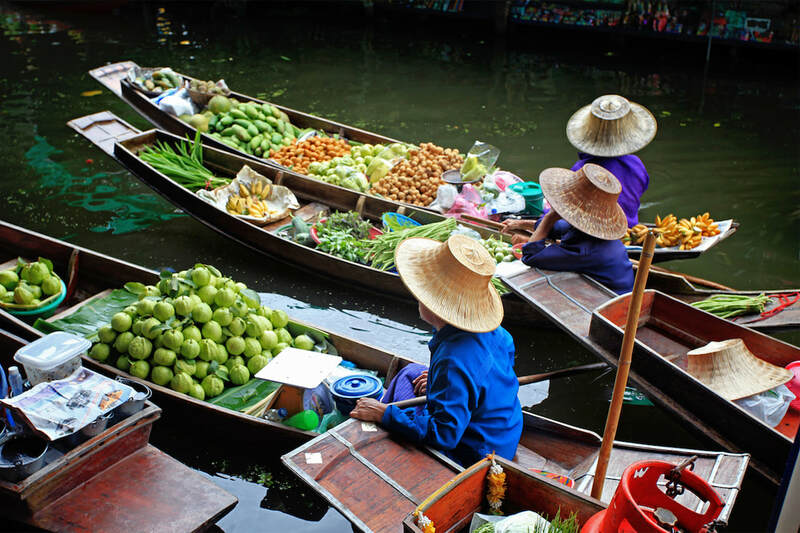 How about exploring the riches of the Mekong river on a luxury river cruise? 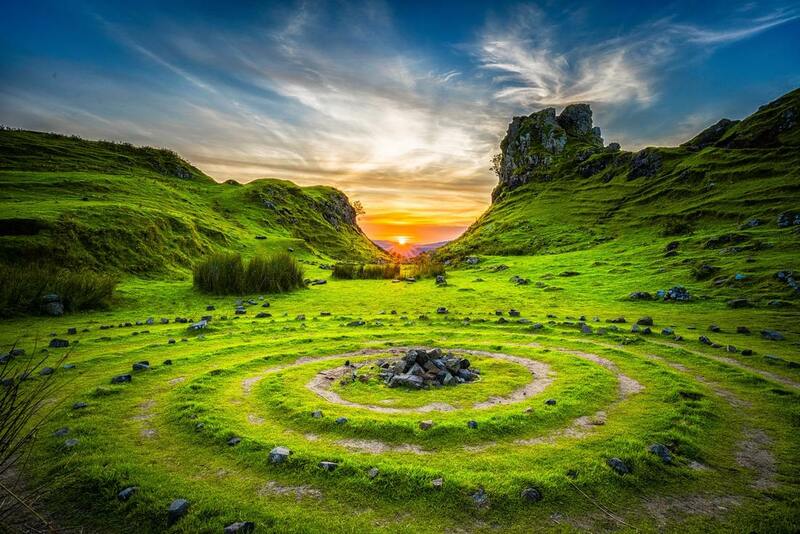 Are you stressed out, burned out and needing to find a wellness resort to help you connect with yourself and nature? Milestone birthday or anniversary coming up? Girls’ trip or family vacation on the horizon? Whatever is on your mind or on your radar for the coming year, please send me a note to let me know so I can prepare to collaborate with the best of the best for you! Virtuoso Travel Week is a maddening week of appointments, dinners and cocktail events but one I come away from having learned so much about luxury travel and deepening my relationships with the people that help me provide you with elevated travel experiences. I look forward to hearing from you and learning more about where you’re headed in 2019! ​When most people think of Tahiti, they imagine a newlywed couple snuggling on the deck of their overwater bungalow watching the sunset. While this is certainly true, the islands of Tahiti offer so much more than a romantic escape for couples. 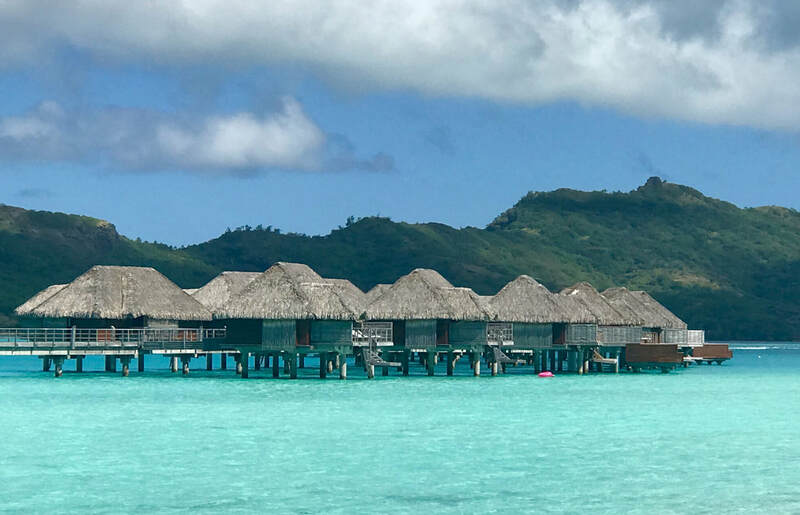 I just returned from the Four Seasons resort in Bora Bora with my multigenerational family group (think infants to grandparents) of 42 and it was the most amazing vacation for all. Yes, we were in the iconic overwater bungalows and yes we saw breathtaking sunsets and even a rainbow or two, but we also experienced so much as a family. It started with a private group check-in and breakfast at the Otemanu Pavilion especially for our group. That evening we enjoyed a special private welcome dinner on Otemanu beach complete with local musicians and Heiva dancers. The dancers were wonderful in getting the group to join in and setting the stage for a week of fun and relaxation ahead.